Writing this description is one of the hardest things I will ever do. Yes, descriptive writing is always a difficult task for me — writing beautifully and sounding eloquent. Emotions and stress combine to make me feel like I'll never be able to say all the right things. Well, okay. Keep reading. This perhaps is about as perfect as my descriptions gets — it's touching and honest, getting to the heart of Dr. Umar's character while helping my loyal listeners celebrate every ... Más informaciones aspect of him. Okay — How can I capture the essence of someone like Dr. Umar Johnson? Here we go. Dr. Umar is funny, but not uproarious; there's just enough lightness in his demeanor to keep my listeners from dissolving in grief over the subject matter. He is one of the most admired men on the lecture circuit. The combination of his fight for justice and his gentle heart makes him widely beloved. Words can not measure his leadership and impact on others. Yes, there's more I could and should say. I am done, however. I did my best to capture a bit of that love I have for him and his work. 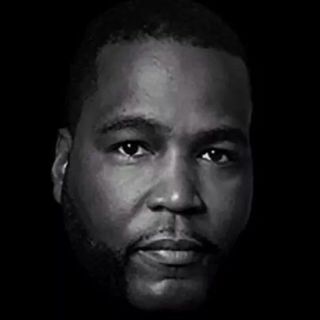 IF YOU TRULY WANT MORE of Dr. Umar Johnson's commentary, please google his interviews — The Breakfast Club, The Rock Newman Show, The Tom Joyner Morning Show, The Bev Smith Show, and countless radio and talk shows across the country, in Africa and in the Caribbean.